Indian newspaper The Quint was forced to retract its news supporting Pakistan’s stance regarding RAW agent Kulbhushan Jadhav, following the government’s pressure and “disappearance/or gone in hiding” of the journalist, Chandan Nandy, who had filed the story. Pakistan Foreign Office Spokesperson Dr Mohammad Faisal, in a re-tweet of his personal account on Saturday, stated that: “Update as reported: Journalist Chandan Nandy who filed the story is “missing/gone in hiding”, was last spotted at Khan Market Delhi and since then has been untraceable for Family and friends. Freedom of press? According to details, The Quint declared Pakistan’s claim that Jadhav is an India spy as true. It further wrote that Jadhav was hired by RAW [Research & Analysis Wing] for terrorist activities in Pakistan. The newspaper revealed that two RAW agents threatened Jadhav’s parents to not talk about their son’s detention in Pakistan with anyone. Jadhav possessed two passports with different identities, the outlet exposed. Afterwards, the editor and staff members of the newspaper were strongly bashed by the Indian citizens and their government over which it retracted the story. “The story on Kulbhushan Jadhav has been retracted. The Quint is rechecking some of the information mentioned in the article”, this is the message that greets viewers when they click on the link of the story, originally titled: Two Ex-RAW Chiefs Did Not Want Kulbhushan Jadhav Recruited As Spy. Nandy is the opinion editor of The Quint, and shared a message on Twitter regarding the story which was originally published. According to the original story in The Quint, which was posted on the Pakistani website defence.pk, “two former chiefs of the Research and Analysis Wing (RAW), who headed the organisation sometime over the past 15 years, had put their foot down against recruiting him for operations in Pakistan”. “Even as two RAW secretaries refused to hire his services, the proposal to recruit Jadhav for specific assignments was finally acceded to by a chief who headed the intelligence agency a few years ago and was subsequently re-employed (after retirement) in an organisation also involved in collecting intelligence. The story stated that the clearest evidence that Jadhav was a RAW agent was revealed when “his cover – as a businessman who would frequent Iran, especially Chabahar – was blown” and he was captured by Pakistan’s security forces, “following which a former RAW chief, besides at least two other senior officers, called his Mumbai-based parents to “advise” them to not speak about their son’s case to anyone”. The other evidence was the second passport, with the name Hussein Mubarak Patel, that Jadhav carried on him, which shows that it was originally issued in 2003 and was renewed in 2014. The second passport (L9630722) was issued in Thane on May 12, 2014, and was due to expire on May 11, 2024, states The Quint report. The report reveals that Jadhav, born in August 1968, did work for the Indian navy but retired prematurely and started a business, whereby he would travel to Iran frequently. 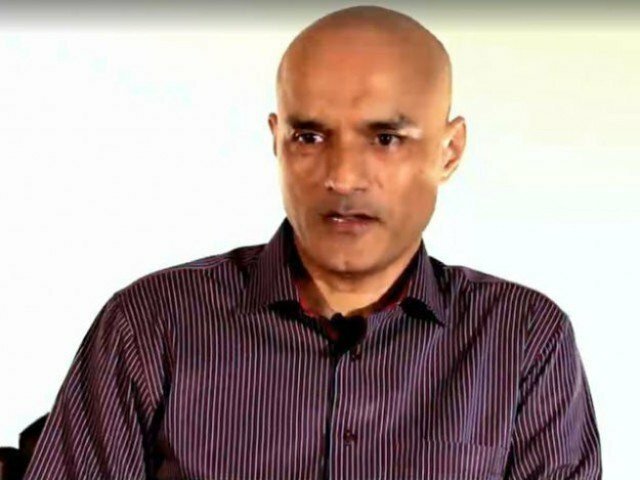 The RAW officials, both former and serving, said in the report that “Jadhav would ‘go on assignments off and on’ and he would undergo the mandatory ‘debriefing’ each time he returned to India from his ‘visits to Balochistan’ or when he volunteered to share information”. Sources informed the Indian publication that Jadhav’s “undoing was based partly on his unprofessionalism and partly because he was not a ‘career spy’. The ISI intercepted some of the communications and were also able to pinpoint his location, making it relatively easy for them to track and then nab him,” the report said, quoting sources. The report states further that “soon after Jadhav was trapped and caught in March 2016, a few records relating to payments made to him were destroyed, leaving ‘no trace’ of his existence as far the RAW is concerned”. There is no iota of doubt that he was serving Indian naval officer,an agent of RAW,sent to Pakistan for subversive activities and terrorism.The retracting of the story of their journalist Chandan Nandy from The Quint and his forced disappearance is clear proof of his as being an Indian spy.India can never succeed in distortion of facts,no matter with how much intensity they try to.